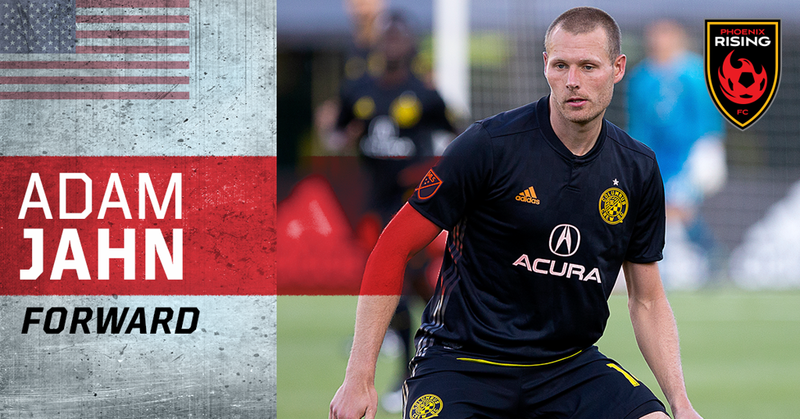 PHOENIX (December 10, 2018) — Phoenix Rising Football Club announced today it signed former Columbus Crew and San Jose Earthquakes forward Adam Jahn for the 2019 season pending league and federation approval. Per club policy, the details of the contract will not be made public. Jahn most recently played with the Columbus Crew, where he appeared in 41 matches over three seasons and tallied six goals with one assist. 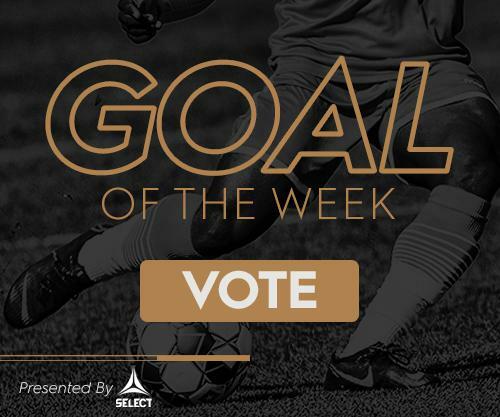 In 2017, Jahn scored the game-winning penalty kick in the first-round of the MLS playoffs to eliminate Atlanta United. It’s the last time Atlanta United, the current MLS Champion, fell in the playoffs. Jahn, a target forward, was selected 15th overall in the 2013 MLS Supplemental Draft by his local team San Jose Earthquakes. He made his professional debut as a substitute on March 3, 2013, and scored his first professional goal in the next match on March 10 against New York Red Bulls. Over the course of seven seasons in MLS with the Earthquakes and Crew, Jahn has appeared in 103 matches and has scored 12 goals while providing two assists. During a brief loan spell with Oklahoma City Energy FC last season, Jahn scored three goals and had an assist in 10 appearances. Jahn won a USL Cup while on loan with Sacramento Republic in 2014. That season Jahn was third on the team in goals with six in 17 appearances. With the addition of Jahn, Phoenix Rising’s roster now stands at 13 players for the 2019 season. Phoenix Rising FC is the highest-level professional soccer franchise in Arizona’s history. The club is owned by legendary Chelsea and Ivory Coast striker, Didier Drogba, Advantage Sports Union CEO, Alex Zheng, Executive Chairman of Kona Grill, Berke Bakay, and an impressive collection of business leaders and international celebrities. Established in 2016, Phoenix Rising FC is one of 10 cities applying for Major League Soccer (MLS) expansion and currently plays in the USL Championship, the largest Division 2 professional league in the world. In October 2017, Phoenix Rising FC acquired FC Tucson and is bringing USL League One professional soccer to Tucson beginning in the spring of 2019. For season tickets or more information call 623-594-9606 or visit PHXRisingFC.com. You can also follow the team on Facebook (PHXRisingFC), Twitter (@PHXRisingFC), Instagram (@PHXRisingFC), Snapchat (PHXRisingFC) and YouTube (PhoenixRisingFootballClub).